Get in the mix with a DIY cement mixer. 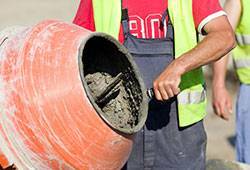 MonsterShop provide industry standard cement mixing for all your household construction. Resilient and crafted from hardwearing materials, our cement mixers are primed help you with any home construction project. Our domestic cement mixers are portable, light and simple to operate, while offering an affordable alternative to expensive mixers from construction industry suppliers. Got a wall to build that just won’t wait? You can pick up our cement mixers from our base in York, North Yorkshire.